Enjoy Minecraft™ farming adventures with the Chicken Coop! Have fun tending to the chickens at the Chicken Coop, featuring an elevated henhouse that delivers eggs directly into a chest. Enjoy hands-on Minecraft™ adventures with this LEGO® Minecraft set—designed for young fans of the highly successful sandbox video game. Combine this set with other LEGO Minecraft models to create your own unique LEGO Minecraft universe. 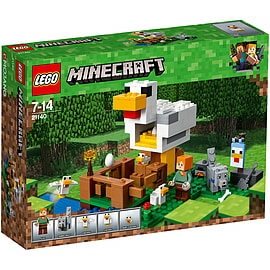 Includes an Alex LEGO Minecraft minifigure, plus baby chicken and tamed wolf figures, and 2 chicken figures. 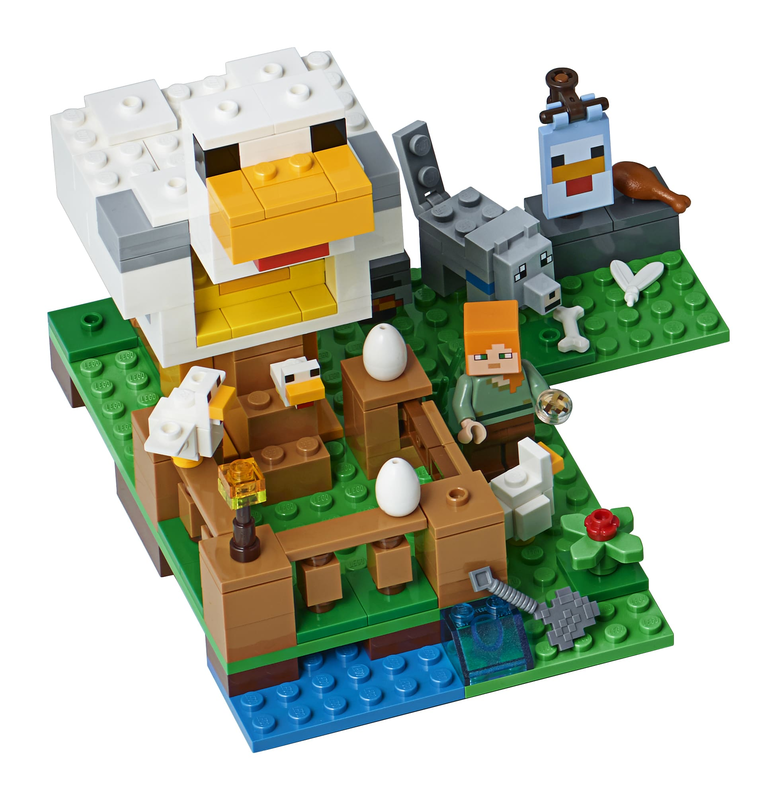 Includes an Alex LEGO® Minecraft™ minifigure, plus baby chicken and tamed wolf figures, and 2 chicken figures. Features a buildable Minecraft™ chicken farm setting with an elevated henhouse that delivers egg elements directly into a chest, plus a decorative chicken banner, chicken pen with opening gate, furnace, and a water and grass area with plants. Measures over 4” (11cm) high, 5” (14cm) wide and 5” (14cm) deep. This fun toy includes over 195 pieces and is suitable for ages 7-14.